AddFreeStats is a free website analytics tool that helps webmasters to get statistics about their OScommerce store traffic. You will discover how many people visit your site, what they are looking for and visitors behavior. With data provided by AddFreeStats, you will able to boost your website content quality and drive higher traffic. 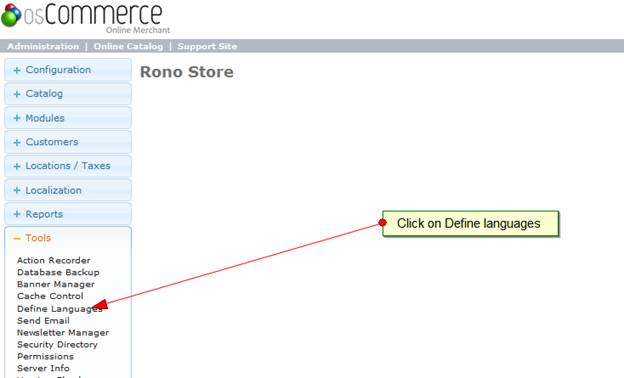 Installing AddFreeStats on your OsCommerce store is simple and takes only a few minutes. Here is a quick install guide to take you through it. 1)	First of all, create an account on AddFreeStats. The sign up is very simple and only takes less than a minute. 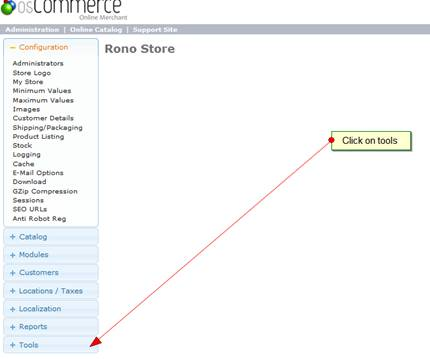 3)	Now log into your OsCommerce store and then click on the “Tools” tab at the bottom left of the page. 4)	Under tools, click on “Define languages” link. 5)	Next you need to click on “English.php” from the new page that opens up. 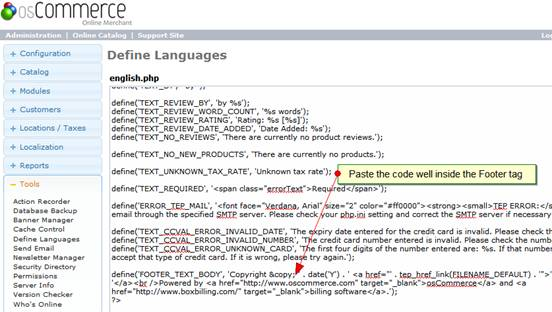 6)	After clicking on “English.php”, a new page opens where there are codes of the default page template. Scroll down the code to where there is the footer tag at the end and then paste the code obtained from your Addfreestats account inside the footer tags since this is where it should appear. 7)	To finish the Addfreestats tool installation click on “Save” to save the changes made to the template. The Addfreestats tool is now fully integrated into the OsCommerce store and should start tracking traffic information right away.